India anticipates that it can get away with a heavy handed template in Kashmir. The summer of 2016 can join the other years now associated with the largely ineffectual public angst in Kashmir: 2008, 2009 and 2010. The problem is that just as events in 2010 brought about the turn in 2016 with Burhan Wani's exit from normal life dating to the events in 2010, the events in 2016 will no doubt add a lease of life to the troubles in Kashmir. If 2010 gave a half decade lease of life to the insurgency, the consequence of 2016 will be around for longer. Children are part of the front line in protests. While right wing apologists on television explain away injuries to children as result of their being used as human shields, it is clear that children - quite like as other protestors - are angry with India. It cannot be otherwise. On inquiry by the Srinagar High Court, the CRPF has let on that over a million pellets have been discharged at crowds, leading to over three score deaths and a few thousand injuries. Its Director General has indicated that pellet guns would only be replaced after an inquiry report is furnished. A timeframe of two months found mention. That the government can choose to work faster than this has precedent. It fast tracked arms purchases in the Kargil War, importing Bofors ammunition from places such as South Africa even as the summer war progressed. That it has chosen not to bring the same efficiency to bear broadcasts that the crowds had better stay home. It can be read by watching Kashmiris that lives of Kashmiri citizens do not matter as much as of soldiers. Can India afford such complacency? After the all-party meeting on Kashmir, the senior minister in the government, finance minister Jaitley, at a joint press conference with his colleague, home minister Rajnath Singh, intoned: "The change taking place in the world between 2010 and (20)16 ideologically has to play a role in the valley." The reference is obviously to the visibility of religious extremism since the Arab Spring went awry. India's national security establishment has been in overdrive with its information war thrust line suggestive of an external link. The National Intelligence Agency chief highlighting the testimony of Bahadur Ali - a Pakistani terrorist caught sneaking into India - brought out that Ali had been coached to use the opportunity provided by the unrest to fire at soldiers from behind crowds. This marks the second and rather well known external influence - Pakistani interference - that can heighten the problem in Kashmir. At the all-party meeting, the prime minister appeared persuaded of the matter of Pakistani complicity, declaring that Pakistan will be paid back in the same coin. His Independence Day speech hinted at this, in its mention of Baluchistan, Gilgit and Pakistan Occupied Kashmir in one breath. From the 'political support' that the uprising has prompted in Pakistan it is clear that Pakistan is well aware of both interests in Kashmir. The first - religious extremism - is seen from the manner its adherents in Pakistan are organizing to drum up Kashmir as an issue in Pakistani consciousness, with last month's march by Jamaat ud Dawa from Lahore to Islamabad as example. The second is the rhetoric by Kashmiri militants based across such as Hizbul Mujahideen's chief Syed Salahuddin's call to nuclear war early this month. In face of this combined threat, what is India's line? From inaction on 'root causes' in face of trouble continuing, it is stark that the internal well springs of the Kashmiri problem are not going to be taken as 'genuine grievances'. While the prime minister says he is willing to address these, placatory issues such as the sway of AFSPA, demilitarization, talks with separatists, progressing human rights inquiries etc. are not on the cards. Consequently, India appears to have narrowed down to the hardline. That it need not have been so is clear from the fact that the ruling party, with a majority in the lower house for the first time since the insurgency outbreak in Kashmir, has the power to be responsive. Manmohan Singh, besides having a handicap in terms of numbers in the lower house, had the BJP breathing down his flanks. While Mr. Modi has the numbers, he may not be ideologically inclined towards concessions himself. Notice how at his town hall preceding his Independence Day message, he took care to warn cow vigilantes off targeting Dalits alone; not Muslims who are greater victims. His record of hesitance in reaching out to Muslims - such as refraining from wearing Muslim headgear - suggests an ideological mental block, if not prejudice itself. The agitating Kashmiris just happen to be Muslim and cannot have their own talks process such as the extended one of Delhi with the Nagas. There are perhaps no American Christian evangelicals to catalyse these in case of Kashmir. Secondly, his constituency is the right wing and, with consequential elections looming in UP, he cannot deviate from a line laid down for his party by its support base in the Hindutva combine. A hardline appeals to these political formations, since they are the foot soldiers in elections. The BJP has historically relied on the polarizing effect of anti-minority action. A softline towards either Kashmir or Pakistan now would be untimely. 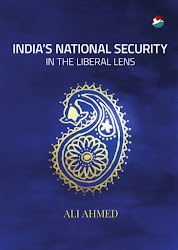 Thirdly, the national security establishment has been taken over by those who are presumably conservative-realists, but who are in reality closet Hindutvavadis. Their writings are all over strategic discourse on how the shift to a hardline on Pakistan is warranted and Kashmiris, who are depicted as being inspired by religious extremism, deserve no quarter. The manner the Kashmiri Pandits have unwittingly been roped into dampening any public sympathy for their Muslim counterparts, through a slew of articles highlighting their plight as a displaced community, is indicative. 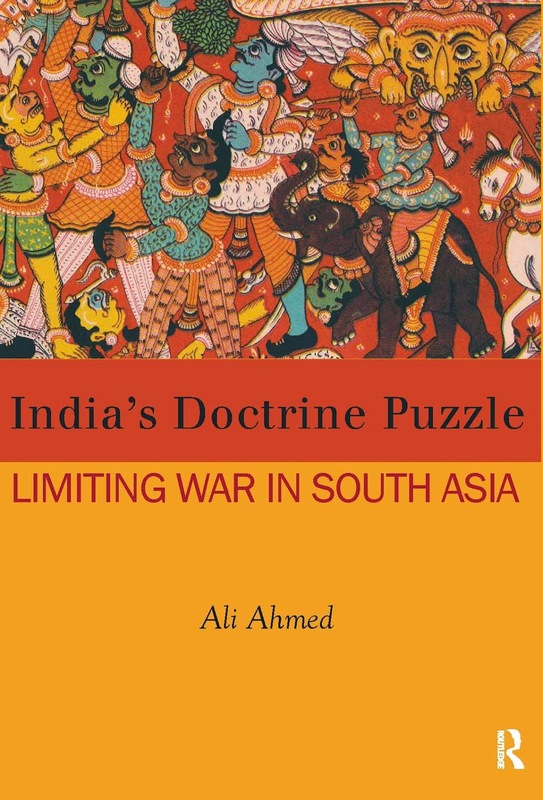 A Kashmiri Pandit and former diplomat is likewise busy extolling virtues of the policy shift, continuation of a hardline that attracted attention of no less than General Musharraf in his memoirs. As a former ambassador to Afghanistan, he must surely have a bone to pick with Pakistan. One former general - belonging to the Jammu belt and who once held the information war portfolio in Srinagar - is drumming up support for the hardline, prompting a student in the audience at an academic institution he spoke at to complain against his speech as inspiring hatred. Antecedents cannot be isolated from policy advice. A sympathetic interpretation India's seemingly open interference in Pakistan - if on rebound - is that it is tactical. 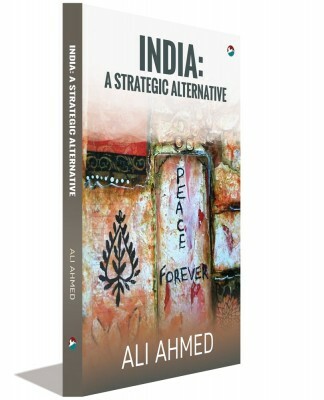 Bereft of ideas on what to do in Kashmir and unwilling to take the steps staring India in the face for at least a decade, a bit of diversionary tactics are called for. Also, the tactical gambit can warn off Pakistan from heightening physical support for Kashmiris. In any case, with elections round the corner, nothing else can reasonably be expected. Since the Pakistan policy has seen several swings over the past two years, this is just another one and can be righted once the electoral need passes and when Kashmiris settle down after their usual summer madness. India needs warning-off buying into such rationale. Assuming that religious extremism has seeped-in in some measure into Kashmir, it can be surmised that the external links in Kashmir can only deepen. While the prime minister merely let on that India intends to canvass the diaspora hailing from the Pakistan held half of J&K to its discomfiture on the human rights front. This can but serve as cue for India's intelligence agencies to foster the conditions that will make for a worsening human rights situation. If Pakistani allegations are even half right, India's intelligence agencies already have a foot-in-the-door in Baluchistan and in relation to Paksitan's 'bad terrorists' in Khyber Pukhtunkhwa. Though relatively restrained for over a decade now, should India's proxy war spike, Pakistan would likely take advantage of receptive conditions in Kashmir. Currently, it is beset with fighting off assorted terrorists on its western flank. It would welcome an opportunity to divert their energies towards India. That it would find a willing partner is clear from its intelligence agencies alerting India of the move of about a dozen terrorists towards the border for disrupting Independence Day celebrations. The government can no doubt anticipate this. Believing it can cope, keeps it off concessions in Kashmir. Worse, it might prefer a heating up of the India-Pakistan scene, forcing Pakistan to revert to its old tricks. This will make for a more convincing case for its hardline policy. Any jihadi turn has internal security connotation wider than Kashmir. By unnecessarily placing Indian Muslims on a potential front line, internal political dividends might accrue for the ruling party. For its wing pseudo-cultural allies, religious polarization is a perennial electoral strategy. For pseudo-realists, who are cultural nationalists at heart, pushing Pakistan down-the-tube is an obsession. With the national security apparatus at their disposal, they are unlikely to pass up the opportunity. In effect, this is not a tactical shift. This is extant policy; only India has glimpsed it starkly through the information war smoke for the first time. Kashmiris suffer as collateral damage and the present India-Pakistan nosedive is only contingent. The real problem is ascent of majoritarian nationalism and its bid to stay aloft in perpetuity.